With a passion for the dark arts, this taxidermist-jeweller has a strong sense of personal style wrapped up in myths and secret handshakes. Reid Peppard is an artist, taxidermist, designer and fashion maven extraordinaire whose darkly beautiful and ornate sculptural headdresses, jewellery and artworks have a talismanic allure. Her designs, inspired by myths of prey and predator, are based on found objects, roadkill and locks of hair that are then worked into magical keepsakes. They have been shot by Mario Testino for LOVE magazine, adorned Lady Gaga’s head in the video for Bad Romance, been showcased at the Royal Academy and collected by Sienna Miller, Jude Law and super-stylist Luisa Fernanda Espinosa. She also has her own ready-to-wear jewellery label RP/Encore, which takes this dark theme further. 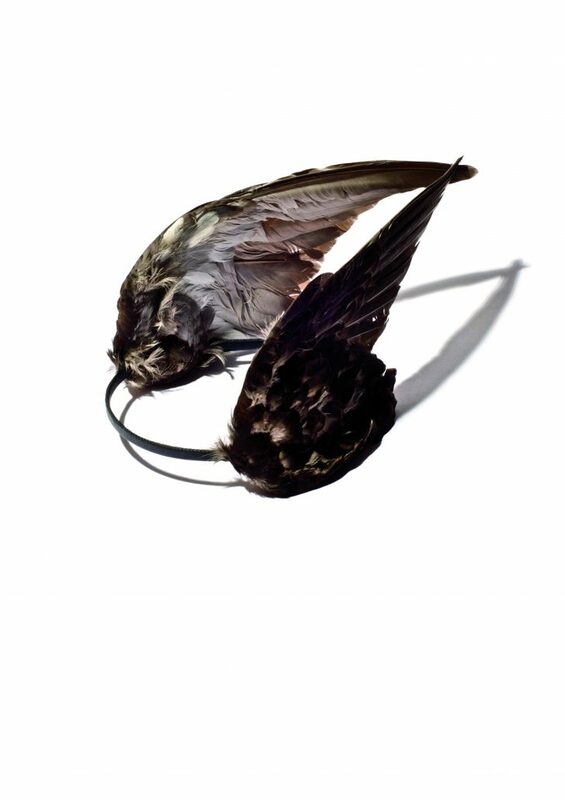 The designs are a cocktail of ethical taxidermy bones, claws and feathers, combined with twists of gold and silver and a heady dose of symbolism. It encapsulates the mesmerising quality and narrative complexities of jewellery in its most primal incarnation. And Peppard’s personal style, we find out, is – just like her work – rich in storytelling and secrets. Tell us about the creations of RP/Encore. I started RP/Encore originally as a way to bring my installation artwork and taxidermy art practice outside the realm of the traditional gallery setting. I was interested in challenging people’s conceptions and misconceptions over animals commonly considered pests or vermin. I found that by creating these accessories one could bring the dialogue wherever one went, highlighting the beauty of these creatures. Eventually this progressed into solid silver and gold jewellery cast from, and inspired by, my taxidermy artworks. 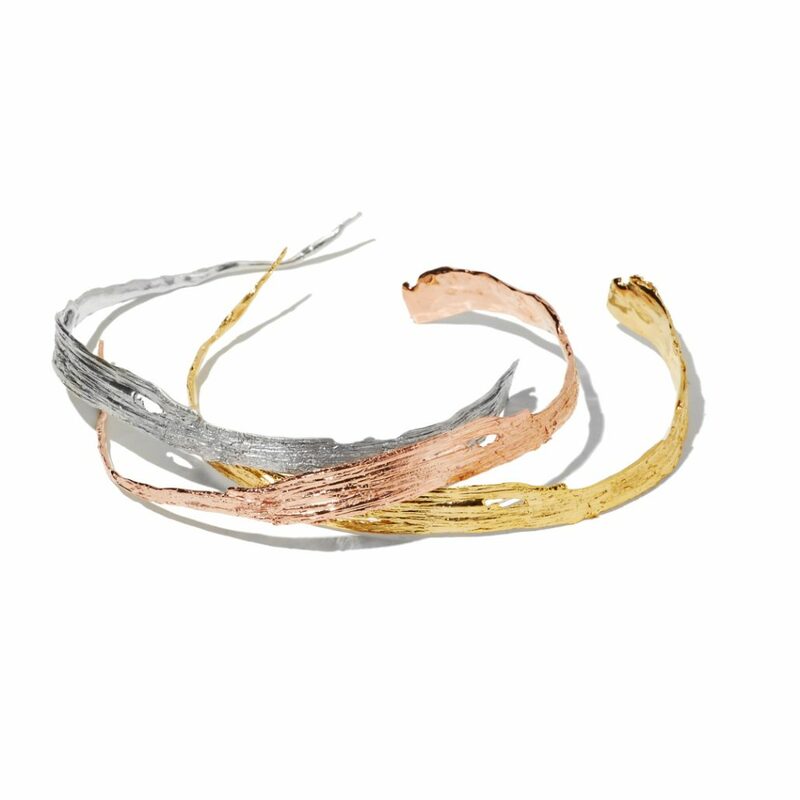 Now I keep the two fairly separate with the jewellery taking inspiration from other facets of the natural world. In addition to my previous collections, I now specialise in sculpting human hair into bespoke rings so that the casting metal burns out the hair and takes its place exactly to form the final piece – very symbolic! What are your thoughts on the power of jewellery? I think that the talismanic power of jewellery is undeniable. A powerful piece of jewellery can literally change everything, such as how a person holds him or herself. This transformation can be subtle or downright magical. The spiritual and even medical merits of wearing certain metals and stones also holds a long and rich history in all cultures. Why does jewellery feel more emotive and personal than other fashion pieces? Most people will wear jewellery every day for years at a time. This instantaneously sets it apart from any other item a human will wear or use in their lifetime. I’ve found that the jewellery people wear every day almost always holds a story that makes the piece especially valuable to the wearer. These secret histories could have been passed down from generations, or it might be a gift from a friend or a lover, but whatever the case this secret history will be etched in the scratches and unique wear of the piece making it distinctly theirs. Is there a link between jewellery and secrets? I think in many ways jewellery is like a secret code. It’s part of your visual language and self-expression. It’s how you say “I’m an individual” or “I assimilate towards this particular brand or lifestyle”. When a stranger appreciates your jewellery, it’s like you both speak the same secret visual language. Like a secret handshake. You have designed pieces for Lady Gaga, celebs like Jude Law and bloggers such as Rumi Neely of Fashion Toast, but who would you still love to work with? I’m disappointed I haven’t had a chance to make something for Daphne Guinness yet. Are there any beauty products you can’t live without? I’ve started sporting rather long, talon-like nails over the last few years, which I occasionally paint OPI Big Apple red. A friend of mine runs the most delicious apothecary line called Moon Nectar Apothecary and her Night Blooming Floral Spray is an absolute necessity when running around LA. I’ve literally had people try and buy mine off me in the street! I also have a bit of a Kiehl’s addiction. Phoebe English is a dear friend and also the most inspirational fashion designer I’ve ever met. Her graduate collection from Central Saint Martins [made entirely from plaited rubber and human hair] was my favourite fashion collection ever, and she has only gone from strength to strength since. I collaborated on a collection of jewellery with her a couple years ago and it was such a treat getting a peek into her brilliant mind. What are your most recent favourite purchases? 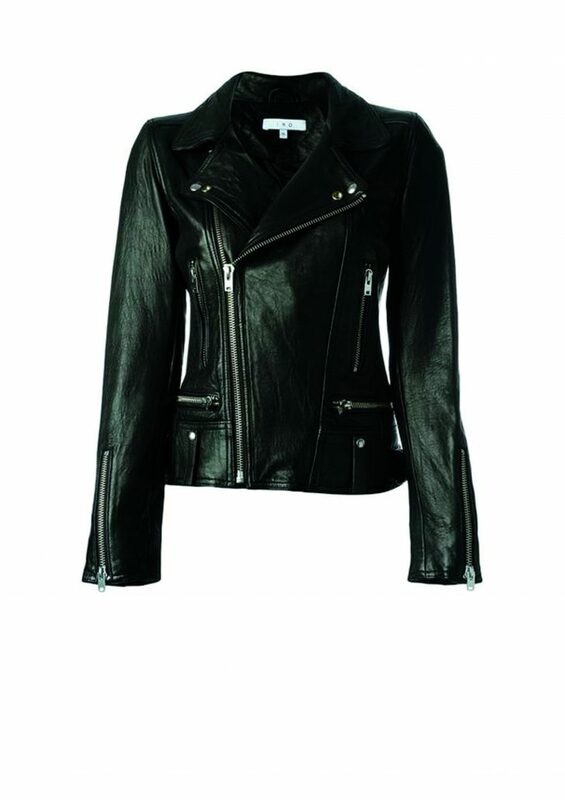 My guilty new-season must have has been a beautiful Area leather jacket from IRO, the French fashion house. It’s the perfect biker jacket.